Here is an original photo of legendary Red Sox DH David Ortiz, in the on-deck circle at Comerica Park in Detroit. The shot is provided by Lance Martinez of My Detroit Sports. Ortiz, who is retiring at the end of this season, is on a similar, yet more subdued farewell tour than the one taken by longtime rival Derek Jeter in 2014. Ortiz has put together a Hall of Fame career with the Sox, while being instrumental in Boston finally breaking the infamous “Curse of the Bambino,” amid winning three World Series championships since 2004. The Dominican Republic native is a 10-time All-Star and six-time silver slugger award winner. Even in 2016 (at age 40), Ortiz is having a great season, belting 33 big flies and 111 RBI. For his career, the lefty has tallied an incredible 536 homeruns and 1,752 RBI, making him perhaps the greatest designated hitter of all-time. During the Red Sox many recent playoff appearances, Ortiz has also come up clutch, posting a total of 17 HR and 56 RBI, as well as earning 2004 ALCS and 2013 World Series MVP honors. Looking back to his 2002 postseason run, while a member of the Twins, Ortiz also accumulated 8 hits and 4 RBI, in 29 at-bats. 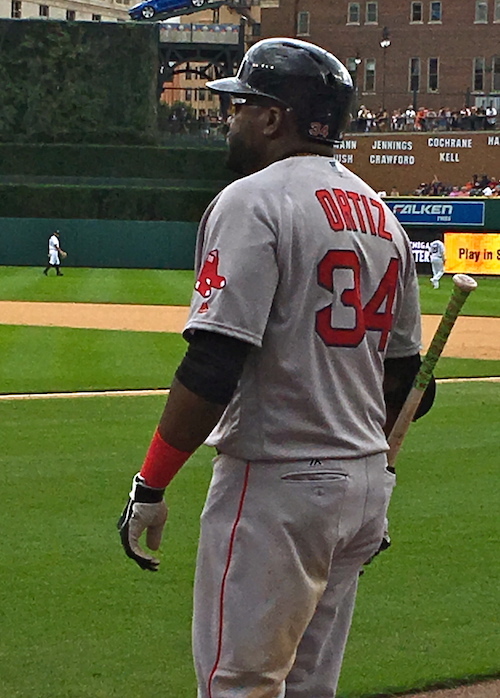 Ortiz’s numerous regular and postseason accolades have made him a significant part of Red Sox lore. Maybe as he rides off into the sunset, the big man can put together one last magical October for his many fans in Red Sox Nation. Sox fans can also view iFolloSports.com original video of Ortiz signing autographs, prior to a game in Minnesota, a few years ago.